Nestled at the foot of the majestic Table Mountain and bordered by the Atlantic Ocean, Cape Town is consistently voted amongst the top cities in the world to visit. The safari lodges of South Africas Eastern Cape offer a malaria-free safari experience close to Cape Town and the popular Garden Route. Few visitors to South Africa will arrive with no preconceived ideas about the country. Its turbulent history has meant that it has had a prominent place in the news broadcasts of the last few decades. However, the reality of South Africa today is quite different. In many respects the mechanics of travelling in South Africa are remarkably similar to travelling in North America, Australia, or Europe, and this section covers essential travel information to help ensure you are prepared for your trip. Holders of the following passports do not require a visa to enter South Africa when travelling as a tourist for stays up to 90 days: United Kingdom; United States of America; Canada; Australia; Ireland; Belgium; Netherlands; Italy; France; Germany; Spain, Switzerland. If you are a passport holder from another country, please contact your local South Africa High Commission or Embassy for up-to-date visa requirements, as citizens of certain countries (including New Zealand) are required to obtain visas before travelling. Please note that if you are applying to the Embassy for your visa, some visas can take a long time to be processed so please do take this into consideration, as it is your responsibility to ensure you have the correct visa in place before you travel. Please note that anyone travelling to South Africa should have a valid return ticket and a valid passport. Your passport should be valid for a minimum period of 30 days from the date of exit from South Africa. The passport must also have sufficient pages for entry/exit stamps - AT LEAST 2 BLANK PAGES. Only Machine Readable Travel Documents (MRTDs) will be accepted to enter South Africa. Please note that extended passports are no longer accepted. TRAVELLING TO/FROM SOUTH AFRICA WITH CHILDREN YOUNGER THAN 18 YEARS OF AGE AT DATE OF TRAVEL: The following requirements apply regardless of nationality. Parents travelling with children must produce an unabridged birth certificate for the child, showing full details of the child's parents. If the birth certificate is in a language other than English, it must be accompanied by a sworn translation issued by a competent authority in the country concerned. If the child is adopted, the adoption certificate must be produced. If only one parent is travelling, said parent must also show consent in the form of an affidavit from the other parent named on the birth certificate authorising the child to travel (the affidavit must be no more than 3 months old from the date of travel - a blank Parental Consent Affidavit can be downloaded from http://southafricahouseuk.com/documents/parentconaff.pdf), or a court order granting full parental responsibilities to the travelling parent, or (where applicable) a death certificate for the deceased parent. Legally separated parents should also provide a court order when the other parent does not give consent. 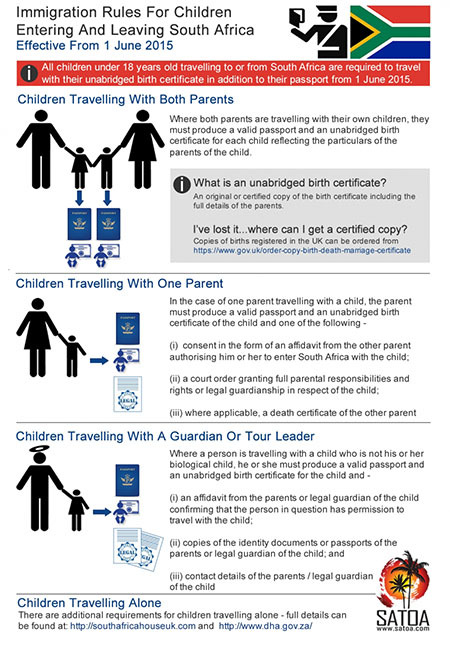 Where a person is travelling with a child who is not their biological child, he/she must produce an unabridged birth certificate for the child supplemented by affidavits from the child's parents/legal guardian giving consent for the child to travel and copies of the identity documents or passport of the parents/legal guardian PLUS their contact details. There are also additional rules for unaccompanied minors - available on request. PLEASE NOTE: All documents must be original - PHOTOCOPIES ARE NOT ACCEPTED. In the case of foreign countries that do not issue unabridged birth certificates, a letter to this effect issued by the competent authority of the foreign country should be produced. For more information, contact the South African High Commission via http://southafricahouseuk.com/ or the South African Department of Home Affairs via http://www.dha.gov.za/. You are advised to contact your doctor or clinic around 4-8 weeks before your trip to check whether you need any vaccinations and to get their professional medical advice regarding travel to South Africa. There is a risk of malaria in and around the Kruger National Park/Mpumalanga Province, the Limpopo (Northern) Province, and the north-eastern part of KwaZulu-Natal - check with your doctor about suitable antimalarial tablets. Try to avoid mosquito bites wherever possible - wear loose long-sleeved clothing and trousers, and use a repellent on clothing and exposed skin. 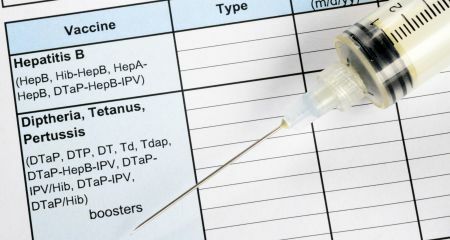 There is no risk of yellow fever in South Africa, so a yellow fever vaccination is NOT required for travellers whose sole destination is South Africa. However, in accordance with International Health Reguations, South Africa requires all travellers over one year of age arriving from a yellow fever risk country, or having been in transit longer than 12 hours at the airport of such a country, to have a yellow fever certificate. These countries include Kenya, Uganda and Rwanda. Driving in South Africa is easy and enjoyable, as the main roads and highways are generally maintained in a good condition, and are straight, long and fast. There are very few roads in South Africa where you would need a 4WD - even in safari areas, the roads are good and a 2WD can adequately cope with the odd bit of unevenness. 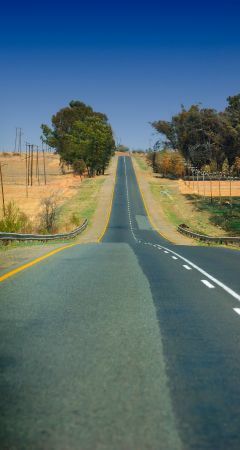 South Africans drive on the left hand side of the road, and all signposts are written in English. The speed limit varies from 40 km per hour in towns and built up areas to a maximum speed limit of 120 km per hour (75 mph) on the motorways and open national roads. It is law to wear a seat belt at all times, and using a mobile phone when driving is prohibited. The majority of roads are tarred, and although you may come across the occasional pot-hole, overall they are maintained in good condition. Many of the major main road are toll roads, in order to help maintain them in their present good condition. Tolls range from a few Rand to nearly R50, and depending on where you are, you have the option to pay either by cash, or some toll booths will take Visa or MasterCard credit cards. Many hire car companies also now fit their vehicles with an automatic toll reader, so the car captures the toll fees instead and these are billed back to you at the end of the rental period. The majority of petrol stations in South Africa accept overseas credit cards, and there are no self-service stations. Many larger petrol stations will also have an ATM that will accept VISA/Mastercard or Cirrus if the credit card facility is down for whatever reason. It is a good idea to keep some change handy to be able to tip the attendants (R5-R10 tip is customary). All drivers must be in possession of a VALID driving licence from their country of residence. If the driving licence is not in English, then an International Drivers Licence is required. The licence must also contain a photograph of the holder and be valid beyond the point of returning the vehicle. UK citizens do NOT need to request a unique code from Gov.UK or the DVLA as you do not need confirmation of any penalty points to hire a car in SA. Please note that the various car hire companies have different regulations regarding the length of time you need to have held a driving licence, so it is advisable to check with your hire car company about their requirements. Most hire car companies also insist that you leave a credit card number as a security deposit when you pick up your car. The credit card HAS TO belong to the named driver - a person who is not the named driver cannot supply the credit card. You must carry your driving licence with you at all times when driving in South Africa. It is also a good idea to keep a photocopy of your drivers licence separate in your luggage, and also leave a copy at home with family or friends. Speed cameras operate in cities and towns. If you are caught on camera, the fine will go straight to the hire car company, who will simply debit your credit card with the amount. A more common speeding trap is on the outskirts of towns, where traffic police wait for the unsuspecting driver to come racing out of the built up area. If you are caught speeding by traffic police, the correct procedure is to give the traffic officer your details (name, car rental agency details and car registration number) and ask him to issue you with a speeding fine ticket. You can hand the ticket into the hire car company when you return the car but if you forget, don't worry - the fine is automatically be sent to the car rental company in any case, who will then redirect the cost of the fine to you together with an admin fee.You also have the option of taking the speeding ticket to a local police station and paying it directly - however, this may not be a feasible option as it may involve a long detour and eat into valuable holiday time. In a few areas, it is worth mentioning that some traffic officers are asking for an on-the-spot cash fine instead of writing you a speeding ticket - if you feel comfortable refusing to pay this, please do, as on-the-spot fines actually do not exist under SA traffic law. If you are planning on taking your hire car across from South Africa into a neighbouring country (such as Namibia, Lesotho, Botswana or Swaziland), do remember to clear this with your hire car company beforehand - many companies will need to issue you with a Letter of Authority to show at the border post. You can read more in our guide to driving in South Africa. The 11 official languages are Zulu, Xhosa, Afrikaans, Pedi, English, Tswana, Sotho, Tsonga, Swati, Venda and Ndebele. Whilst many visitors will hear at least a couple of the tribal languages during the course of their stay, it is possible to travel extensively and comfortably with just English as a language. South Africa's currency is the Rand (R). 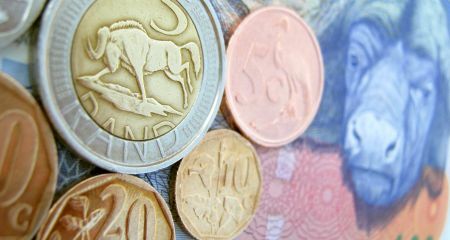 South African bank notes come in R10, R20, R50, R100 and R200 denominations. There are 100 cents to R1, and coin values are 1c, 5c, 10c, 20c, 50c, R1, R2 and R5. Visa and MasterCard are generally more widely accepted than any other credit card. Some establishments will only accept card payments using a chip and pin machine, so if your credit card does not support this we advise taking additional cash. South Africa is not an exceptionally cheap destination to visit, nor is there any reason why it should be. The country is still struggling to address the imbalances between the richest and poorest segments of its society, and this has meant costs have increased as a minimum wage and improved employee rights have been introduced, and taxes have risen to ensure clean water and electricity are available in the poorest areas of the sprawling townships. Prices for accommodation and car hire may now be approaching the levels we see in Europe and North America, but accommodation and service standards are generally far higher at any given price point. One thing that does surprise visitors to South Africa is how much the weather conditions vary across the country. Because the country is so vast, there are distinct climatic zones as you go across the country. If you watch the weather forecast on the news in the evening, it is amazing to learn that tomorrow's weather is going to be warm and wet in Cape Town, hot and sticky in Durban, hot and dry in Kruger, and just very pleasant in Jo'burg! Around Cape Town, the Cape Winelands and the Garden Route, average daytime temperatures in the SA summer months ( November to March) are very pleasant, ranging between 14°C up to 26°C. On most days you will have 11 hours or more of sunshine, extending into warm evenings with the very occasional rain shower. In the winter months (June to August), daily temperatures range between 8 to 18°C, but the bracing sea breeze can make the temperature feel colder, and this is also the main rainy season. Johannesburg has a pleasant all year round mild climate. Partly due to its elevation of over 1,750m above sea level, Johannesburg is fortunate to have warm summer days and pleasant summer evenings, with average temperatures around 25°C. Although this is the rainy season, rarely does the weather feel too humid. In the winter months, the temperatures are around 18 to 20°C with crisp, clear nights. The Eastern Cape coastal regions enjoy pleasant warm summers, with an average daily temperature of 21°C and around 7 hours of sunshine. Winters are cooler. Certain areas along the Eastern Cape will have rain all year, albeit it sporadic. Summers in the Kruger National Park are extremely hot and humid. Temperatures can soar over 40°C and this is also the rainy season. However, many animals give birth during the height of summer, so it is an excellent time to visit if you want to see lion cubs at play or wobbly antelope foals following closely behind their mothers. The winter months are substantially cooler and drier, and generally better for game viewing. Water is scarcer, so the animals are more reliant on waterholes, so game-viewing around these areas is particularly good. The bush is also much drier, making it easier to spot the animals too! You can read more in our guide to best time to visit South Africa. The international dialling code for South Africa is +27, followed by the regional code and then the number. Mobile phone coverage is generally extremely good throughout South Africa. Overseas visitors can use their own mobile phone with 'international roaming' enabled (remember to activate this before leaving home), but this can be extremely expensive - a much cheaper option is to switch to using a local provider during your stay in the country - the 2 main mobile phone providers are MTN and Vodacom. South African emergency telephone numbers are as follows: 10111 - Police; 10177 - Ambulance; 10178 - Fire Department. You can also call 1022 which is a general main number for the Police, Ambulance and Fire emergency services. The South African power is 220 - 240 volts, 50Hz, which is delivered through a 3 pin round socket. Although the socket is 3 pin, it is not the same as a UK socket, so an adaptor will be needed. Most airport shops sell adapters for foreign plugs, or they can be bought in selected hardware shops in larger towns. Electricity supply is reliable in cities and towns, but you may experience problems in more remote areas, especially during heavy thunderstorms, and you should be prepared for a sudden power failure! South Africa Standard Time is 2 hours ahead of Greenwich Mean Time (GMT+2) and they do not operate Daylight-Saving Time.